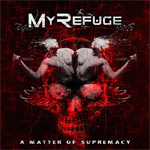 Having formed some five years ago, Italian metal band My Refuge arrives with their first full-length album. This was preceded by two EPs, and at least four songs from those released appear here, leaving six new tunes. Yet, if you're like me and never heard the band before, it's all new to you. Perhaps the simplest thing to say at the start is that My Refuge isn't doing anything new, novel, or reinventing the heavy metal wheel. 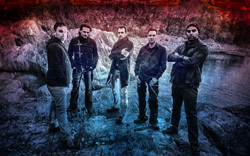 The band works from the solid foundation of classic melodic heavy metal and throws in the speed of power metal at times. Their sound can seem dense, even epic at times, with combination of twin guitar harmony in the riffage. This in turn is given additional power by a bombastic rhythm section; the drums are quite present and assertive. Also, whether by guitar synths or in studio embellishment, there seems a subtle attempt at orchestration underneath, but my ears could be playing tricks on me. Then there's an abundance of ripping and soaring guitar leads, many in the neo-classical tradition. Mostly, however, they err on the side of harmony and following the melody rather than some wonkery of Malsteem widdling. Then there's vocalist Moz, yeah, he has only one name, not as cool as Bono, but it does sound like the ring name for a professional wrestler. Moz sings clean, has good melody, but often seems like he's fighting to stay above the music. With these elements considered, fundamentally, most everything turns on the guitar lines. As for the songs most all swing between more moderate paced heavy metal like The Cage and speed metal like A Storm Is Coming or Somewhere. Some songs vary, mixing both as with On Wings Of Wax or The Raven. There are two metal anthems, for like of a better word with Endless Night and Empty Room. With the former the pace moderates and the guitar soar in leads from the start; in the latter, a bit quieter, there's some acoustic guitar, obvious orchestration, a larger focus on the vocal arrangement and, surprisingly, not significant guitar solo. Yipes! What's up with that? 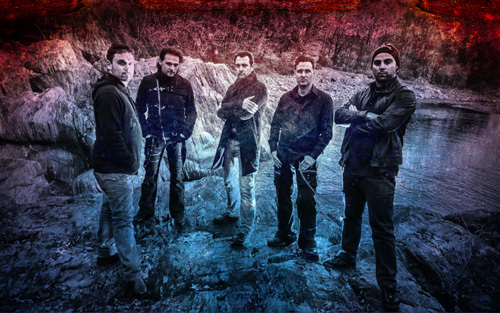 All in all, with A Matter Of Supremacy, My Refuge is basically performing genre specific European melodic heavy and power metal, yet with obvious talent and fine execution. You could do worse. Recommended if you love the genre. All in all, with A Matter Of Supremacy, My Refuge is basically performing genre specific European melodic heavy and power metal, yet with obvious talent and fine execution. You could do worse. Recommended if you love the genre.